When you’re buying any piece of technology it’s easy to be dazzled by the marketing and technological language being used. It’s there to impress, inspire awe and get you reaching for the debit card. However, it’s often tough to know exactly whether you actually need those features, or whether they’re just an expensive addition to a machine you’ll be using for another purpose. That’s especially true when it comes to data projectors which typically have a wide feature set, designed to appeal to as many business or educational environments as possible. So, in this guide, we’re going to look at some of the extra features in your data projector and help you figure out whether they’re something that you need. Let’s go! One of the major issues with installing a projector for many businesses is the fact that they simply don’t have space to install one. A traditional projector might require 8ft of space between itself and a projection surface, making it impractical for many businesses. A short throw projector, however, like the Epson EB710UI Ultra Short Throw Laser Interactive Projector sits above or below the projection surface and through a clever mirror array can project an image of the same size and quality as a traditional data projector, without the space between. It makes projecting in certain spaces much easier and can make presenting in front of a projection surface more pleasant thanks to not being hit by the projector output. Confused about aspect ratios? Well, don’t be. 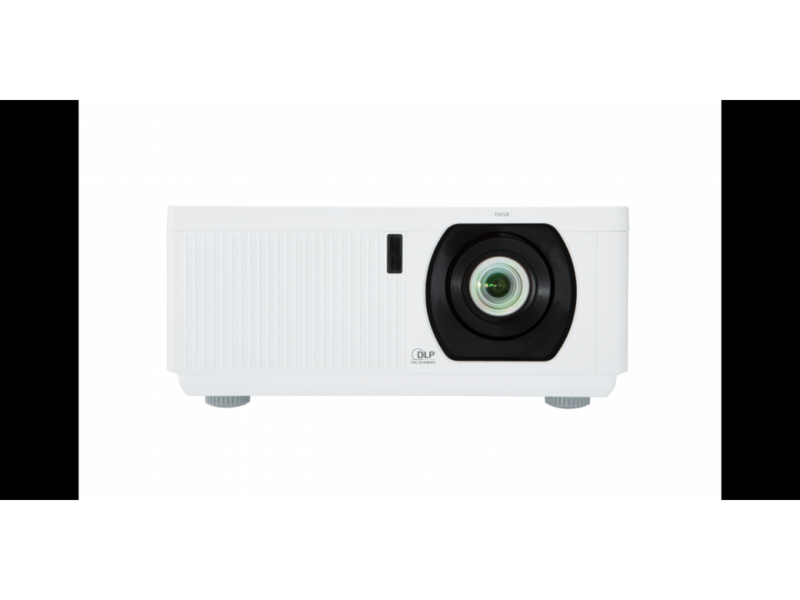 In general, you’ll find data projectors with either a 4:3 or 19:9 aspect ratio, although sometimes a data projector features support for both. Put simply, a 4:3 aspect ratio is more like a traditional computer monitor and is almost a square, making them ideal for presentations where lots of text is being displayed. 16:9, meanwhile, is better suited to media as it mimics the shape of your television, offering a widescreen presentation without large black bars. If your business won’t make use of the more cinematic, media-friendly 16:9 aspect ratio, then it’s best to search for a model with a 4:3 aspect ratio instead, like the Epson EB-970. The latest buzz in the TV world is all about 4K. The new standard is poised to largely replace Full-HD (1080p) and is already found in the majority of new TVs hitting the market. With four times the resolution of Full-HD, it’s a format that’s ideally suited to large screens where more pixels can mean significantly better image quality, but do you need it in your data projector? Well, it depends entirely on what you’re projecting and the size at which you’re projecting. Most data projectors are used for, well, projecting data. That means spreadsheets, graphs and PowerPoint presentations. 4K will absolutely make these images sharper and text more legible at larger sizes, but if you’re not planning on projecting at a large size or showing off lots of graphic design and video work, it’s true strengths might be wasted on your business.